Kim Matthews credits Satellite Healthcare for helping her get to where she is today – a dietitian at Satellite Healthcare. Kim originally planned to attend the University of California Santa Barbara to study marine-biology, but her life-changing diagnosis of Chronic Kidney Disease led her down a different path. At the age of 17, she started receiving dialysis at Satellite Healthcare in her hometown of Sonora, California – at that time; in-center hemodialysis was the only modality available in Sonora. Owing to her young age, Kim's doctor recommended a kidney transplant and she happily received a new kidney within six months. However, that wasn't the end of her struggle with kidney disease. Eight years later, her body rejected the kidney while Kim was working as a dental assistant in Sonora. She had to start on dialysis, again. She went back on a transplant list but had to wait 12 years until receiving her second kidney. During this time, she turned to home hemodialysis at Satellite WellBound of Modesto and later at Satellite WellBound of Sacramento. "When it comes down to it, home dialysis is what enabled me to go to college," Kim said. She attended classes at the University of California Davis, where she earned her bachelor's degree to become a dietitian. She then went to Johns Hopkins Hospital to complete her dietetic internship. "I chose to become a dietitian because I was very impacted by the dietitians I worked with over the years at Satellite," said Kim. Like many patients she works with today, acclimating to a kidney-friendly diet was one of the toughest adjustments that came with her diagnosis. Kim explained that a renal diet is fluid restrictive, and low in sodium, potassium, and phosphorous. She said phosphorous was the most difficult for her to minimize, due to it presence in so many foods. "I feel empathy with the patients. I understand the challenges they're going through," she said. "I'm a lot more understanding of the difficulty of dealing with renal disease and the challenges that it presents." 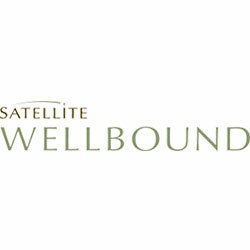 When asked why she chose to also continue to work at Satellite WellBound of Sacramento and Stockton, she said she enjoys the "team-like" atmosphere of the center, which is different than hospitals she's worked at in the past. Also, being the only organization she's dialyzed with, she said it felt natural to come work at Satellite and with the patients. "A big part of my job is education. I explain to [the patients] the value of their diet and how changes in their diets impact their test results." said Kim. She meets with each of patients at both Satellite WellBound of Stockton's & Sacramento each month to go over their diets and check their test results. "I'm a lot more sympathetic for what that means and when they make mistakes," she said. "Because I've made mistakes myself, I understand how difficult that is."